Online Roulette - The Closest Game To The Real Thing? Rate this Article Many casino games that we all love have been made online so it is a lot easier for us to play whenever and wherever we like! However, among all of these ported games, perhaps online roulette is the only casino game that most resembles the original. Online casinos are constantly working towards being able to truly emulate a 'real world' casino experience, and more often than not genuine progress is being made. Slots and video poker playable on smartphones, tablets or PCs are now basically identical to the terminals you'd find in a bricks and mortar casino. However, when it comes to table games, recreating the buzz of the pit has been a much trickier proposition. Roulette is one of the big three online table games alongside blackjack and poker which make up the bulk of online casino play. Massive progress has been made in recreating the roulette wheel in recent years, and many players now reckon that it's the best game to play for immersive gambling. So, what are the main reasons why roulette has superseded other games? Only a few years ago online casino roulette wheels were a simplistic 2D top-down format that was often rather clunky to present and frankly difficult to enjoy. Game designers struggled to render the way the mechanism actually works, with the ball often coming to an unrealistic sudden halt. Quite frankly it wasn't a very convincing simulation and didn't do the thrills that a real game of roulette offers justice. However thanks to a combination of more graphic and processing power, much more reliable internet connectivity and the dedication of an army of game developers, the experience nowadays is a different world. Recent roulette games are 3D and increasingly viewed from a slightly off-center angle to make it feel more realistic. The wheel spins in a fluid fashion while the ball slowly loses momentum in a highly realistic manner before eventually coming to rest. The invisible croupier then declares the winning number/color and it's straight back for another spin. Nobody can beat blackjack for sheer speed of play (both online and real world) but roulette comes a close second. Players happy to stick to the same combination can just re-bet and easily play two or three spins a minute. A decent croupier dealing with a small number of clients can usually manage one game a minute in a standard casino, whereas blackjack is generally twice the speed. Those who know how to roulette effectively can change their bet spreads in seconds. Quite a few of the best roulette games nowadays allow patrons to save their favorite combinations depending on how the table is treating them. With a couple of clicks, you can switch from inside to outside track strategies as well as vary the amount you're willing to stake. 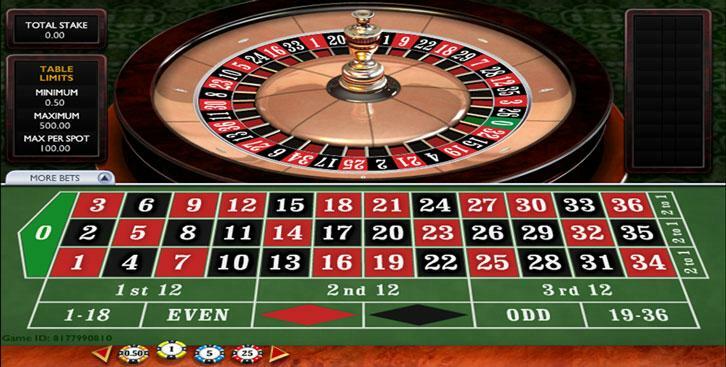 In this sense, it's even more convenient than a real world roulette wheel, and certainly an ideal choice for players looking to enjoy a quick casual game. Online casinos have been trying for the best part of twenty years to develop a social aspect to their operations. In some cases it works - poker and bingo have done well from the chat options between players, but it is still pretty limited. The primary hope of encouraging customers to interact and play together lies within the slowly emerging market for virtual reality gambling. Progress so far has been based upon slots - which is hardly the most sociable of casino games, but work is already underway on attempting to recreate a fully interactive and immersive virtual gaming floor. Roulette lends itself perfectly to this because the online game plays at the same pace as the real thing - the only aspect that makes it unrealistically fast is how simple and quick it is to place bets. Casinos are hoping that strangers who play virtual roulette will behave just as they would in a real casino - chatting away casually while playing together. It wouldn't work as well for any other game besides poker. Maybe craps could match it for immersive fun, but being able to render a throw of dice is much more technically difficult than incorporating roulette simulation software that pretty much already exists. The future is bright for roulette, which is suitable considering that the wheel was originally born from a French scientist's failed efforts to build a perpetual motion machine in the late 18th century! While Pascal's wheel may have been considerably different to the vast variety of modern versions of roulette available, there's no question that this most exciting of table games is going to continue becoming even more realistic.